The Usambaras are considerably older than Mount Kilimandjaro and Mount Meru. Through the mountains were thrust upwards around 25 millian years ago, the rock which forms the mountains is at least 600 million years old. The Usambara Mountains are an island in this archipelago where plants found stability and refuge during millennia of climatic change. 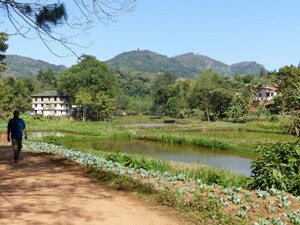 The Usambaras have many unique plants species and are the source of the world famous Usambara (or African) violet. The Usambaras have abundant and diverse bird life and, according to experts, are one of the best places in Africa for bird watching. Lushoto District – long famous for its fruits and vegetables, produces most of Tanzania’s plums and pears. Much of the salad greens and vegetables used by top hotels and restaurants in Dar Es Salaam come from Lushoto. The Usambaras are approximately 90 kilometres long and ranging from 30–50 kilometres in width. They are part of the Eastern Arc Mountains, which stretch from Kenya through Tanzania. 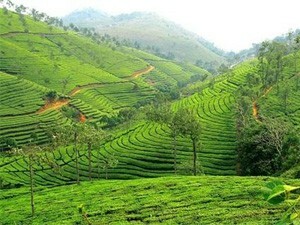 The range is one of the world’s Biodiversity hotspots. The range is accessible from the towns of Lushoto in the west, and Amani in the east. 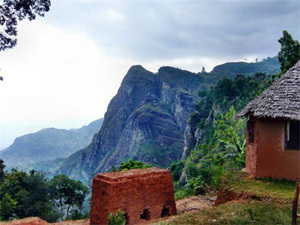 The Usambaras are commonly split into two sub-ranges, the West Usambara Mountains and the East Usambara Mountains. 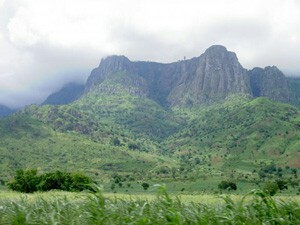 The East Usambara are closer to the coast, receive more rainfall, and are significantly smaller than the West Usambara.